This study examined the nature of thirty virtual educators' action research questions during a yearlong action research professional development experience within a large, state-funded virtual school. 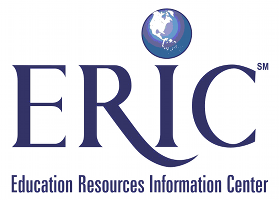 Virtual educators included instructional personnel (i.e., individuals responsible for teaching virtual courses) and noninstructional personnel (i.e., individuals responsible for other roles in the virtual school such as administration or course design.) Action research questions emerge from the intersection of educators' professional contexts and their real-world challenges or passions and analyzing the nature of these questions provided a glimpse into the priorities and practices of the participating instructional and noninstructional virtual educators. Studying completion rates and personalizing the curriculum were trends within questions posed by instructional personnel whereas noninstructional personnel primarily focused on macrolevel issues within the virtual schools, such as communication. Future research directions and implications for action research professional development within virtual schools are discussed. Dawson, K., Dana, N.F., Wolkenhauer, R. & Krell, D. (2013). Identifying the Priorities and Practices of Virtual School Educators Using Action Research. American Journal of Distance Education, 27 (1), 29-39. Retrieved April 21, 2019 from https://www.learntechlib.org/p/92080/.